A despot is nothing without minions willing to carry out their will, and that is no different here. Just as King John needed the Sheriff of Nottingham to enforce his rule in Sherwood, Project Officer Sadie needs her Supervisors in the trenches, Mike and Jess. Mike has an MPhil in World Archaeology, whilst Jess’s Masters was in finds, but as with the PO it is experience rather than qualifications that makes a good Supervisor. Mike has been working in archaeology on-and-off for over 15 years now, whilst Jess (as we know) has been digging for eight years. 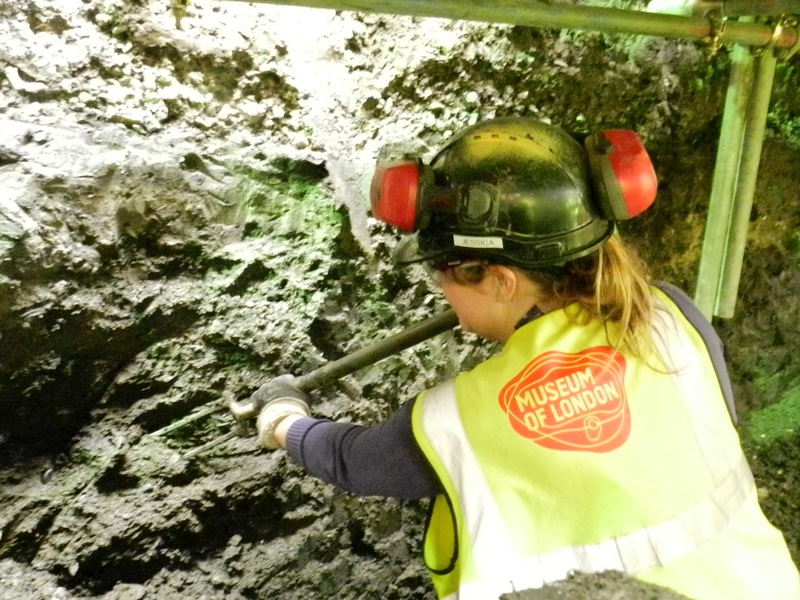 In this time they’ve dug up and down the country and across the world, and it is this hands-on knowledge of different types of archaeology that makes them suitable for this job. 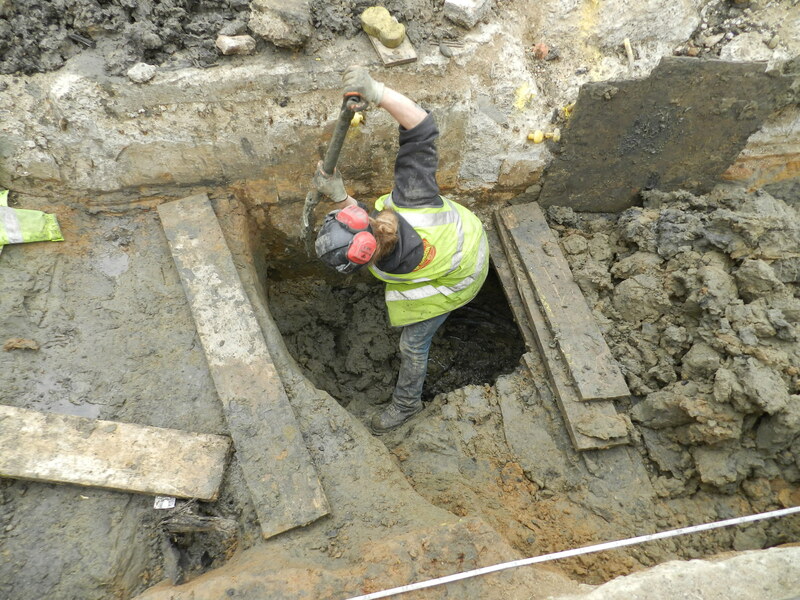 Mike describes his role as that of an ‘Archaeological Foreman’. It’s their job to make sure that the archaeologists in their teams have everything they need to work in a safe and productive way, and to act as a focus to keep excavation work on track. This means doing a lot of problem solving; drawing on their experience to provide interpretations of the archaeology, figuring out the best way to excavate and record, moving people around to where they are needed, and making sure that the site as a whole runs smoothly. 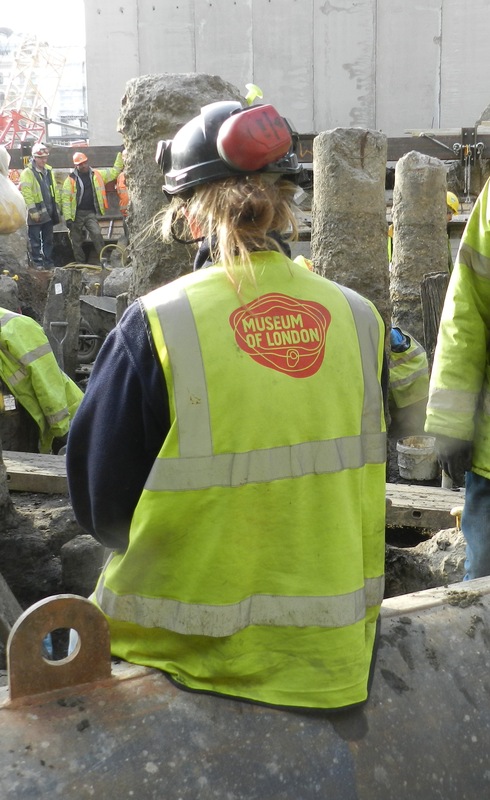 Part of their role involves looking out for the safety of the archaeologists in their area by making sure that working practices and working areas are safe and do not pose a risk. They are both qualified first aiders, and have taken more advanced construction site health and safety tests than most people on site. 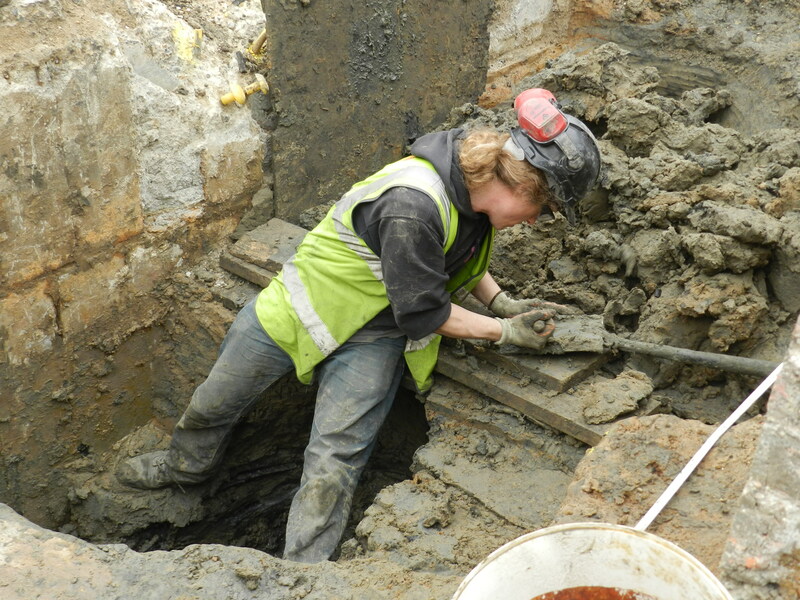 They’ll spend most of their time in the trenches, acting as a bridge between the archaeologists, the PO, outside specialists and the construction workers. Being in charge of such large numbers of people means that Supervisors don’t have much time to do any actual digging themselves, so when they get an opportunity they jump right in. There’s a lot of stress involved with this job, mainly from the pressure of having to enforce tight deadlines (and partly to do with trying to read someone else’s muddy paperwork), so why do they do it? For both of them it’s the chance to combine skills. At school Jess was always great at science, but hated it, whilst at the same time she loved history but was terrible at it. When it came time for Mike to pick a degree he wanted to combine his enjoyment of history with his love of working with his hands in lighting and theatre – archaeology was ideal in both cases! There are also motivations unique to being a Supervisor. For Jess it’s the chance to advance her career and prove that archaeology is a real job after all, whilst Mike’s in it for the challenge. It’s not always easy, but every day is different.